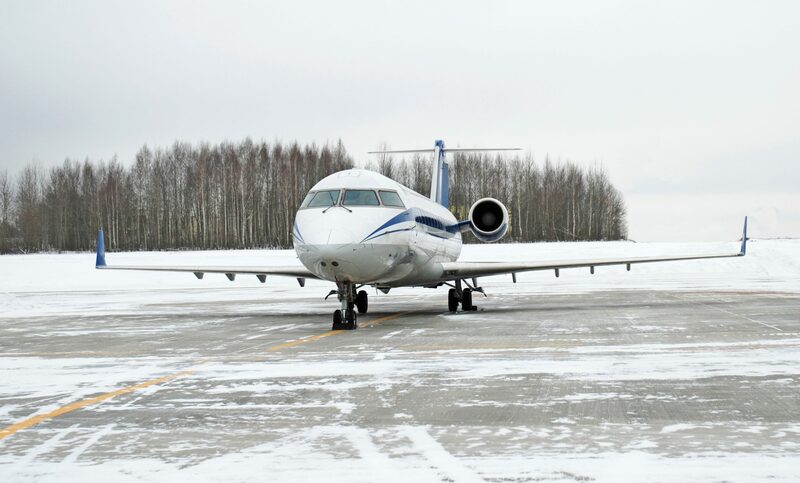 De-icing fluid performance is measured by holdover time (HOT), which is the length of time an aircraft can wait after being treated prior to takeoff. Holdover time will vary based on a few factors including temperature, wind, precipitation, humidity, aircraft skin temperature, and other conditions. When Type I fluids are used, the holdover time is only about five to 15 minutes, which means the aircraft must take off immediately or else wait to be deiced again. You may have experienced this in moderate to heavy snow conditions combined with some type of taxi way delay. Type IV fluids on the other hand, may provide a holdover time between 30 and 80 minutes, but will likely incur higher fees. All types of fluids may not be available at your departure airport. One tip that may help alleviate the risk of your aircraft being de-iced is to ask if a hangar is available to keep the jet inside until your departure. Of course, if available, you will incur a hangar fee, however, this is generally less expensive than having to actually de-ice the aircraft. If precipitation is common at the airport you’re using, be sure to request the hangar in advance. The closer to the travel date you get; the space will book up quickly by others also looking to avoid de-icing fees. Also, be sure to plan your departure time accordingly if de-icing is probable as it will delay your departure. Feel free to discuss these options with your Private Aviation Consultant or a member of the Flight Support Team when booking your travel this Winter.